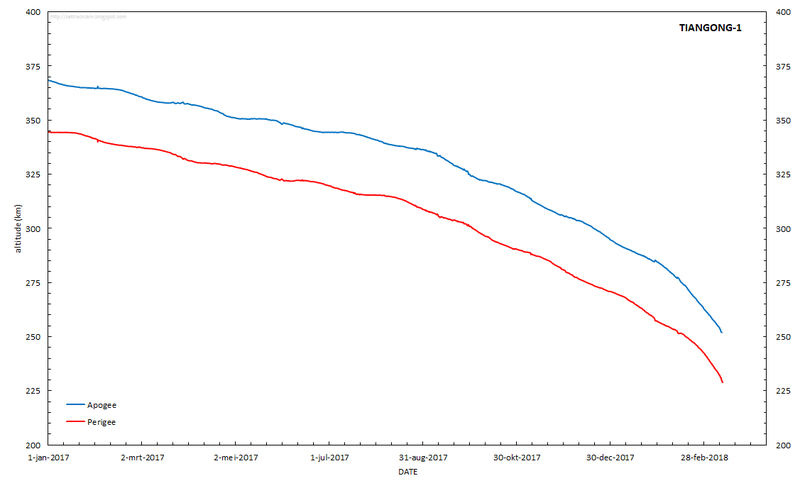 Note: a daily updated post with reentry estimates for Tiangong-1 is here. 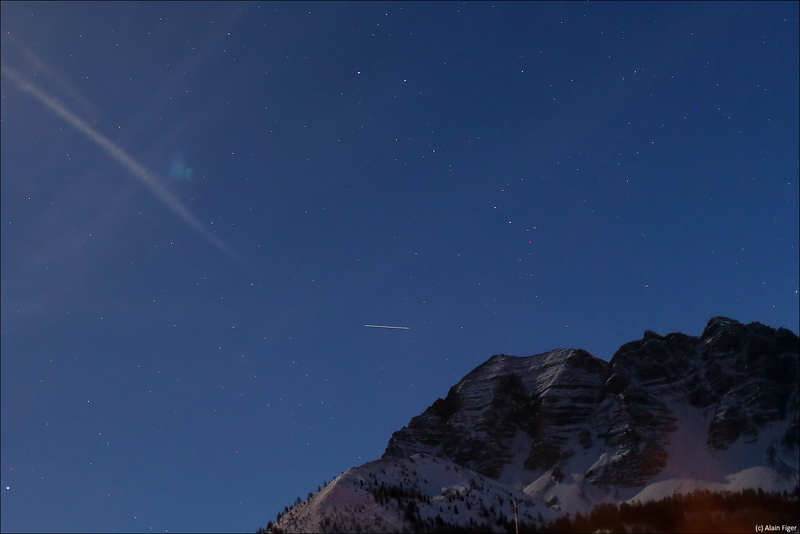 The beautiful image above (used with kind permission) was made by Alain Figer and shows the Chinese Space Station TIANGONG-1 over the French Alps on 27 November 2017. 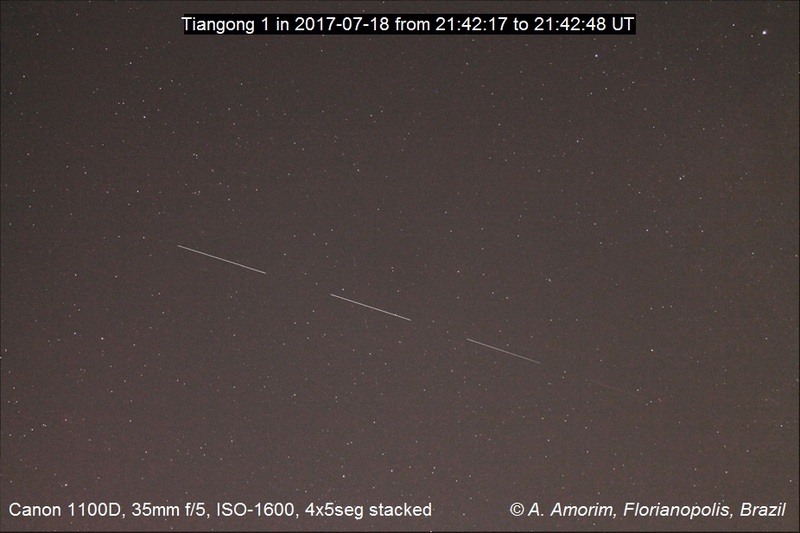 Tiangong ("Heavenly Palace") 1 was launched on 29 Sept 2011. It was the first Chinese Space Station and was visited by Taikonauts twice, first by the crew of Shenzou 9 in June 2012 and then by the crew of Shenzou 10 in June 2013: six Taikonauts in total. 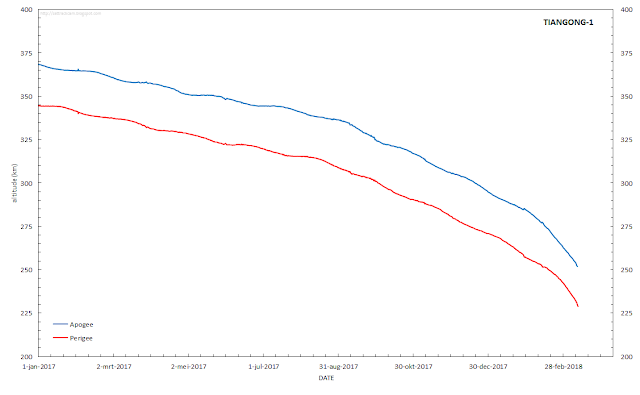 Using SatAna and SatEvo, and under the assumption that the re-entry will be completely uncontrolled, I currently estimate it to re-enter one month from now, somewhere between April 7 and April 21 April 1 and April 12. Note that newspaper accounts (e.g. 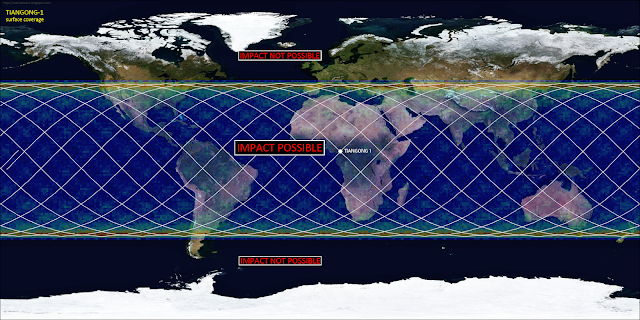 this one) that single out a particular area as being at particular risk, are nonsense: At this stage, a month before re-entry, it is impossible to pinpoint a region. That will only be possible during the hours just before actual re-entry (and even then...). The station has a mass of about 8500 kg and measures 3.35 x 10.4 meter. It is hence a large and heavy object, which is why this re-entry is of concern. It is likely that parts will survive the re-entry and reach Earth surface intact. Land masses inside the risk zone include southern Eurasia, Australia, Africa, South and Middle America and the United States. It is however most likely that the re-entry will be over an ocean. As can be seen from the map above, my own country, the Netherlands, is well outside the risk zone. 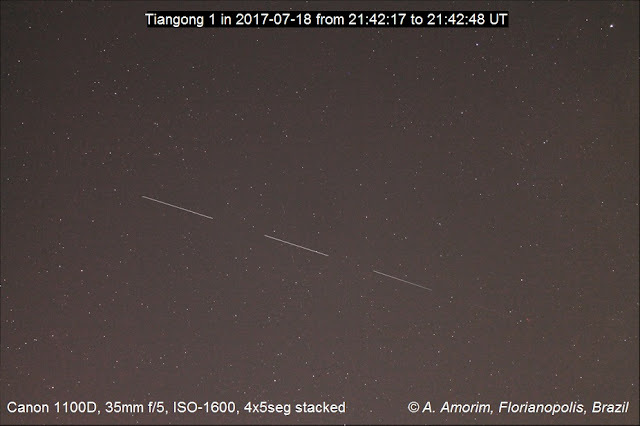 I will follow the orbital evolution and re-entry predictions for Tiangong-1 on this blog as they evolve. NOTE: new reentry estimates, updated daily, are consolidated in this new blog post. Excellent, thanks. 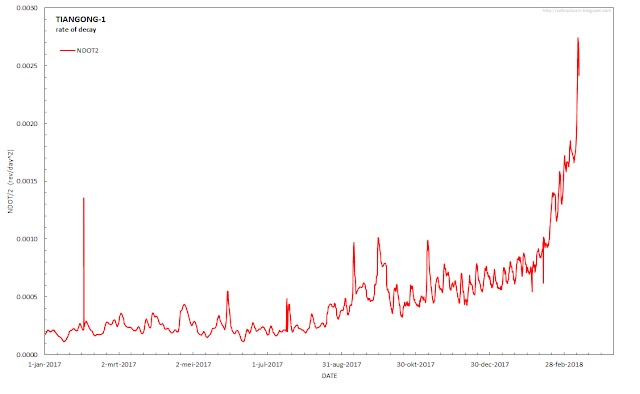 Are you able to access the apogee and perigee data prior to 1/1/2017? It would be nice to see that back to the last time it was boosted. I say that without any idea how much effort it takes to get access to that data.